Course Planning | Colorado Mesa Univ. Academic advisors are available at the Montrose Campus to assist you in planning your educational path. The advisor will guide you in scheduling classes that fit your needs and will count towards program requirements. What is a program sheet? Program sheets outline the requirements of the degree or certificate program being pursued. 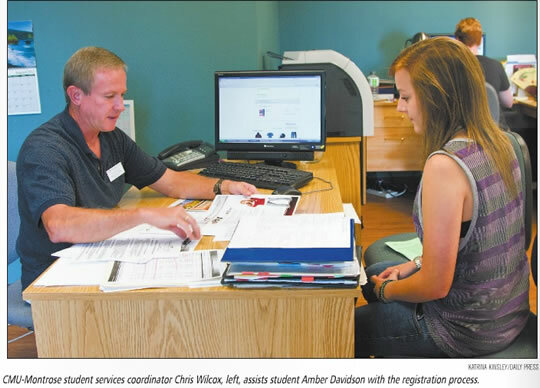 Students should work closely with their advisor throughout enrollment at Colorado Mesa University. It is the student's responsibility to maintain his/her program sheet and to keep it up-to-date as classes are completed. Advisors are not responsible for failure to meet degree requirements. Make an appointment with a Montrose Campus advisor, 970.249.7009.